These assets will be given the same tax treatment as your other traditional assets inside your IRA. If your IRA is a traditional account any gains will be tax deferred until withdrawal. These withdrawals will either be voluntary before you are 70 ½ years old or your required minimum distribution age currently set at 70 ½ years of age. Many investors would love to have some of the nontraditional assets in their retirement portfolios but have never been told it is even possible. It is not only possible but these types of investments inside of IRA’s have been going on for decades. You will need some knowledge about how many of the investments above work so you can operate profitably in their space. This is not the kind of account for the “set it and forget it” investors. This is an account for hands on active investor with some unique knowledge of some of the asset classes in the approved list. By using this type of account it is possible to take a relatively small amount of money and make some exciting returns. Here is a real life example of a deal that has been done many times in the past. You find an opportunity to buy a rundown house from an estate that would like a quick painless sale and is willing to price their property accordingly. You determine the house is worth $200,000 once repaired but will require about $40,000 in upgrades to have that market value. You secure a contract to purchase this property for $120,000. The problem is you don’t have the $160,000 needed to do this deal. There are many ways to proceed but for this example; you find a partner who has the $160,000 and is looking for a solid return on their money. They agree to put up the money if you handle all the details from finding, closing, rehabbing, and reselling the home. You agree this is a great way to get started and agree to be the person with the knowledge and some time to make this happen. You further determine that you would like your share of the profits to go inside of your IRA for the obvious tax benefits. You only have $10,000 inside your IRA with which to invest. The proper play given these set of circumstances is to have your partner buy the property in their name or an entity they control such as a Limited Liability Company. You enter into an option agreement with them to purchase half ownership in this property. You pay them $100.00 (one hundred dollars) from your Self Directed IRA and fill out option paperwork and give all the papers to your plan administrator. This deal now moves forward and the property is rehabbed and ready for sale in 60 days and sells and closes quickly (remember this is almost a brand new home and will stand above most other homes in the marketplace thus selling quickly) for $200,000. You have $10,000 worth of sales and holding expenses netting a $30,000 profit on this deal in 5 months. The actual title owner to the property agrees to pay you $15,000 for you to close out your option position. This $15,000 is a return on the $100.00 option investment and is deposited back inside your IRA on a tax deferred or tax free (in the case of a ROTH IRA) basis. Your investor put up $160,000 which could have come from his IRA if it was self-directed or from already taxed money. He received $15,000 for a 5 month investment. This represents more than a 20% annualized return on his money which is pleasing to almost every investor in the marketplace. If he used his IRA money for this investment than his profit would be tax deferred as well. Another simple investment is one an investor from New York just made in Metro Detroit. He became aware of a self-directed IRA and used some of his IRA to acquire 4 rental homes in a nice suburban location. Each one of these homes was purchased for around $55,000 and rents for about $900.00 and the cash flow goes back to the IRA on a tax deferred basis. If he sells these for big gains years from now, that profit will also be tax deferred. So if the investor nets just $500.00 per month per home in positive cash flow $2,000) that money will go back inside his IRA on a tax deferred basis. These scenarios represent only two of many dozens of scenarios where you can use your IRA to acquire nontraditional retirement assets. There are also some prohibited investments with your IRA and these should be avoided. No loaning of money to yourself, your spouse, or any family member in your direct linear family chain. No investing in collectibles such as cars, baseball cards, stamps, art etc. is allowed. Your IRA cannot personally guarantee any loans in which it borrows money. This means that any money borrowed by your IRA must be “non -recourse” funds meaning that only the asset can be put up for collateral and may be foreclosed upon for nonpayment. The creditor may not file suit against the IRA for any short fall in the loan goes delinquent. Your IRA can be a great place to grow wealth and for those who are looking for alternatives or additions to a stock and fund portfolio a self-directed IRA might be a great option. Great article! I converted my IRA into a self directed IRA several years ago. I bought a small house, fixed it up and flipped it for a 14.5% return in 9 months! After that, I bought a rental which I still own today. I’m clearing over $800 a month which goes right back into my IRA for reinvestment. I hope to buy another rental in a few more years and continue building a portfolio of homes as I collect more and more rent. It’s been a great way to invest in real estate and earn a consistent income to reinvest. I’ve been really happy with the results so far! I actually wrote an article about Self Directed IRA’s and my experience not long ago. 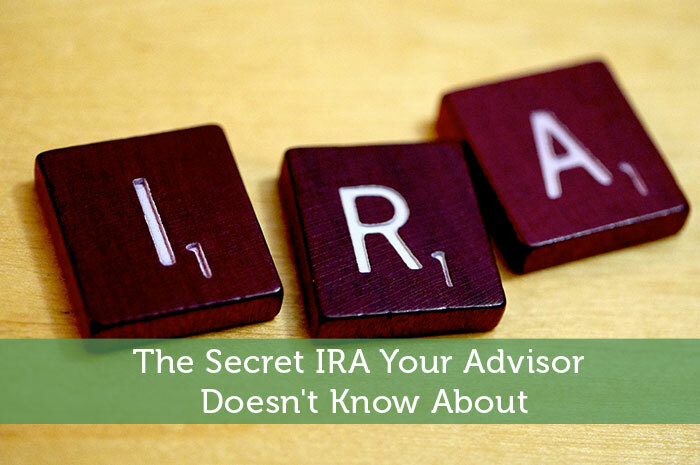 I first heard of self-directed IRAs when I was investigating tax lien investing. Unfortunately, California is a tax deed state, and I don’t have the time for remote investing, or getting hands on and doing the grunt work for a financial backer.